Thanks! Confirm your email address by clicking the link sent to your email. I look forward to the pastels, the warm breeze and taking a big whiff of the crisp California air. Once I do, that nostalgic moment is usually replaced with back to back sneezes, a stuffy nose and red, itchy eyes. I have a love hate relationship with spring. On one hand, it's so beautiful and lets you know that summer is just around the corner. On the other hand I can't fully enjoy it because of my allergies. And if you're wearing lash extensions and suffer from allergies, I want to prepare you for what's to come in hopes that it helps you to enjoy spring rather than suffer. As you may know, our eyelashes are designed to protect our eyes. They catch dust, pollen debris, etc., to protect our eyes from being scratched or hurt. If you're wearing eyelash extensions, they will catch a lot more of the pollen floating around in the air than they would without extensions and that can trigger your allergies even more. You should be washing your eyes/lashes at least once a day however when it's allergy season, you may want to kick that up to twice a day or more to keep your lashes free of pollen and dust. Many people think that touching the lashes will make them fall out faster however not keeping them free from oil and debris is a surefire way to make lash extensions shed prematurely and even cause an eye infection. Cleaning regularly is a great thing, especially during the spring season. My Peruvian friend who lives in Costa Rica told me about this and it worked like a charm to relieve me of the sneezing and stuffy nose. I take the capsules daily and drink the tea here and there. The key with taking stinging nettles is to be consistent so it builds up in your system. Since Spring isn't for another 20 days or so, if you start taking this now it will have built up a lot in your system to protect you from pollen. It's been said that eating more veggies during allergy season helps to boost your immune system and helps your body to fight allergies. Not fruit, but veggies. Green tea & cayenne pepper can help to reduce nasal congestion and stuffiness. 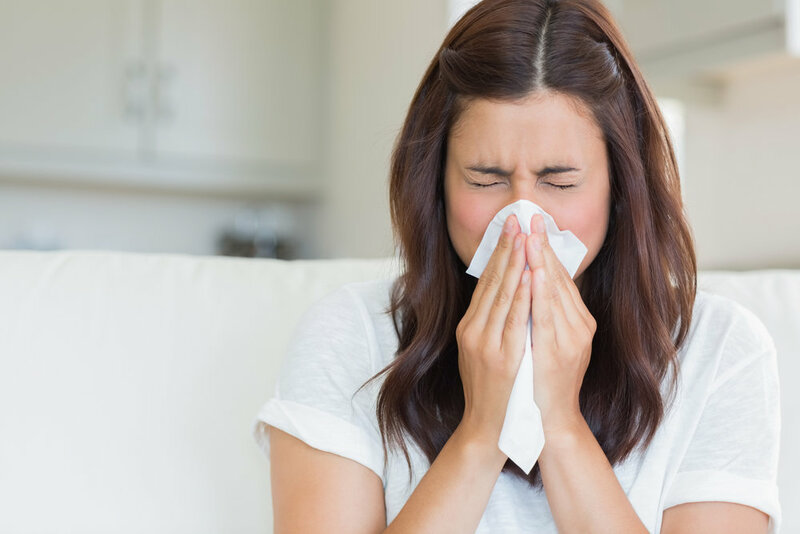 Stress can actually make your allergies worse. So chill out and take care of yourself mentally. Your nose and body will thank you for it. Pollen.com is a great resource for learning what the pollen count is in your area. By knowing that, at the least, it will help you to prepare a little better for what's to come in your area. Another thing I should mention... For many people, you'll experience a big shed of lashes in the spring. It's completely normal. We're mammals and by nature, our bodies are designed to shed more than average during select seasons. Spring is that season. You may notice more hair in your drain and all of a sudden a bunch of your lashes fall off with the extension attached. To keep your lashes looking great if this happens, simply schedule more frequent touch ups. So what's your secret for spring allergies? Share in the comments below. For most people, a new year means new resolutions. A common resolution is to get more healthy and fit. From crossfit, yoga, running and cycling, there are so many great options to help you look and feel your best. If you've made the decision to start working out, you may be wondering if this is the right time for you to get eyelash extensions. Regardless of your workout, you still want to look polished with minimal effort. Eyelash extensions can help you achieve that. Below are a few tips you can use if you're working out and wearing eyelash extensions. What a lot of people don't know is that sweat contains natural oils from your skin. Oil, whether it's from your body or applied topically acts similar to a remover in that it breaks down the adhesive, making lash extensions shed prematurely. The most important step you can take to keep your lashes looking their best is to keep them clean. Immediately after a workout or a heavy sweat, use Eccellent Foaming Cleanser to get your lashes clean. You also want to use this each day as daily maintenance of your lash extensions. About 30 minutes before your workout, apply Eccellent Protective Coating to your lash extensions. This product does exactly what it says it will do and that is create a protective coating on your lashes. The protective coating protects your lashes from oil and sweat. Once you're done with your workout, wash your lashes with cleanser and you're good to go! If your workout involves heat like hot yoga or you sit in a steam room after your workouts, you'll want to schedule more frequent touch ups. Heat and steam also break down the adhesive bond. Instead of every 3-4 week touch ups, schedule at 2-3 to keep your lashes looking flawless. Are you working out and wearing lash extensions? Share what's been working for you in the comments section below!